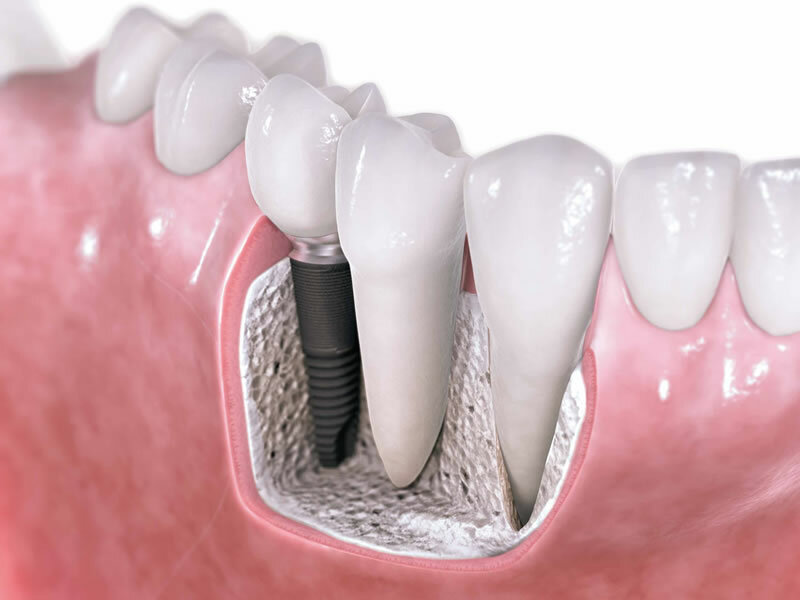 When a patient needs a missing tooth replaced the best option is usually a dental implant. Dental implants are intended to mimic the root portion of a tooth, in either the upper or lower jaw, and is essentially a small titanium screw. When looking to replace a missing tooth, dental implants are very versatile and can support a single missing tooth or many missing teeth. Most patients, who come to our office asking about dental implants, currently are wearing conventional dentures (removable) for the upper and/or lower jaw. Most often they are seeking a better alternative to their existing restoration because they don’t find the fit is ideal, they are experiencing discomfort, and/or aren’t able to chew food very well. Once our patients are provided with dental implants they come back to us reporting huge improvements in all of these areas.